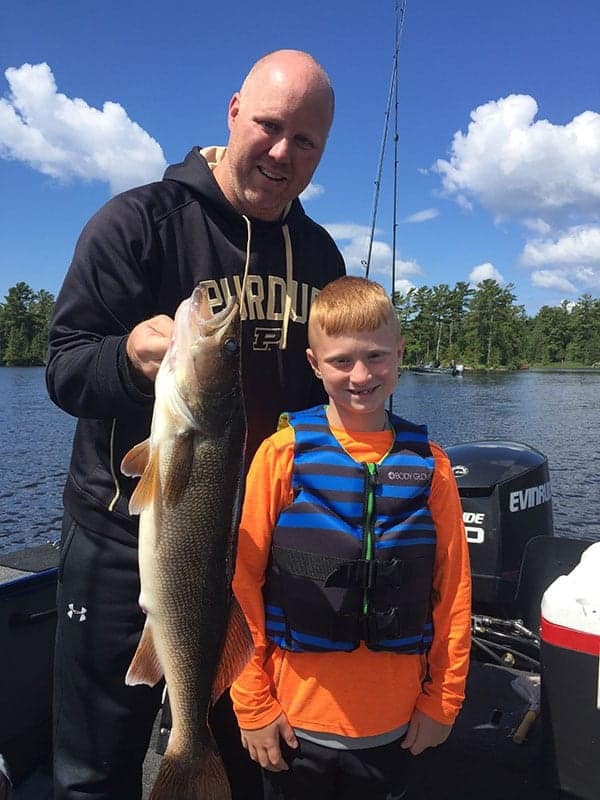 Lake Vermilion Minnesota walleye fishing attracts both serious and casual anglers with its combination of “eater” walleyes and photo worthy catches. Everett Bay Lodge guest Mike Rosinski caught and released the walleye shown above – a 32″ beauty. Over the years, a 34″ walleye is the largest we have seen among our guests. Congratulations to Everett Bay Lodge guests Dan & Jake Doherty who won first place in the 2017 City Auto Glass Walleye Classic. Participants reported record numbers of fish caught, with several over 26″, including Dan’s 31 1/8″ fish that led to their big win. The MN DNR Lake Vermilion Summer Creel Survey tells the story. The Eastern portion of Lake Vermilion has had on average the highest catch count per acre of any of the state’s large lakes. In 2014 the catch count per acre on the east end of Lake Vermilion was the highest ever reported for any lake in Minnesota’s large lake class during the 2001 – 2014 time frame. 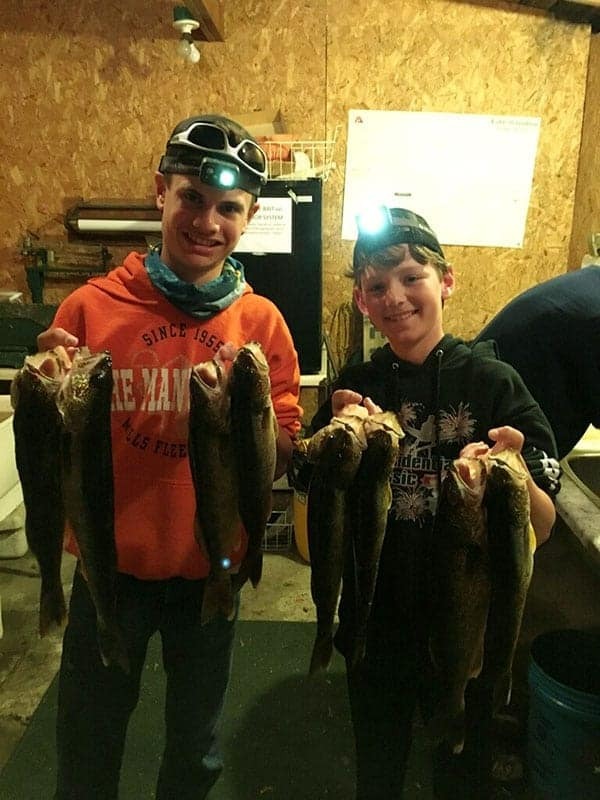 The central location of our Minnesota fishing resort on the Eastern portion of Lake Vermilion makes a great home base for your walleye fishing adventure. The 2019 Minnesota Walleye opener is May 11th. All season long there are plenty of productive options for Lake Vermilion Minnesota walleye fishing: jigging, Lindy rigging, trolling crankbaits, casting shorelines…and don’t forget the favorite tactic of many walleye fishermen – tossing out the slip bobber. Just don’t forget the landing net! The MN Department of Natural Resources reports that the status of the Lake Vermilion walleye fishery is very strong. Most recent gill net catches show higher than average walleye numbers AND higher than average walleye size; noteworthy is the above average gill net catch of “eater” walleyes – those in the 13″ – 18″ range, especially in the lake’s eastern portion. Since 1969, The Department of Natural Resources has been stocking Walleye in Lake Vermilion and maintains a hatchery on the lake from which most all northern Minnesota lakes are stocked.